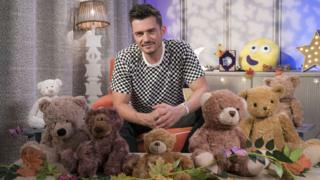 Orlando Bloom is the latest celebrity to read a bedtime story for CBeebies. The actor will be seen reading We Are Together, by Britta Teckentrup, on the channel on 9 November. He’s the latest in a long line of stars to read a bedtime story, including Chris Evans, Dolly Parton, Tom Hardy and Ewan McGregor. “Children light up when being taken on imaginary adventures through storytelling, and it helps their creativity grow,” the actor said. Bloom recently appeared in the West End in the stage adaptation of Killer Joe. Unlike his scheduled CBeebies appearance, however, that production was certainly not one aimed at children – as he got naked on stage in his role as a contract killer and misogynist. He made headlines over the summer when, during one performance of the show, he told off an audience member for using their iPad.